Darrell & Dads Family Guide Service - We fish on Lake Chelan and other North Central Washington waters in year round comfort. You catch them in COMFORT! Bring your family and/or friends out on our 24 foot Bayliner Ciera Express. For your comfort, it features: enclosed cabin; cabin heat; private/inside marine toilet; games and VCR for children; hot and cold running water available seasonally; stove; and a full line of safety gear. Families and couples are welcomed and encouraged to book our service. The boat accommodates a maximum of six. Large parties are accommodated. We also offer lodging at our home through VacationinChelan.com for visitors to the Manson area. 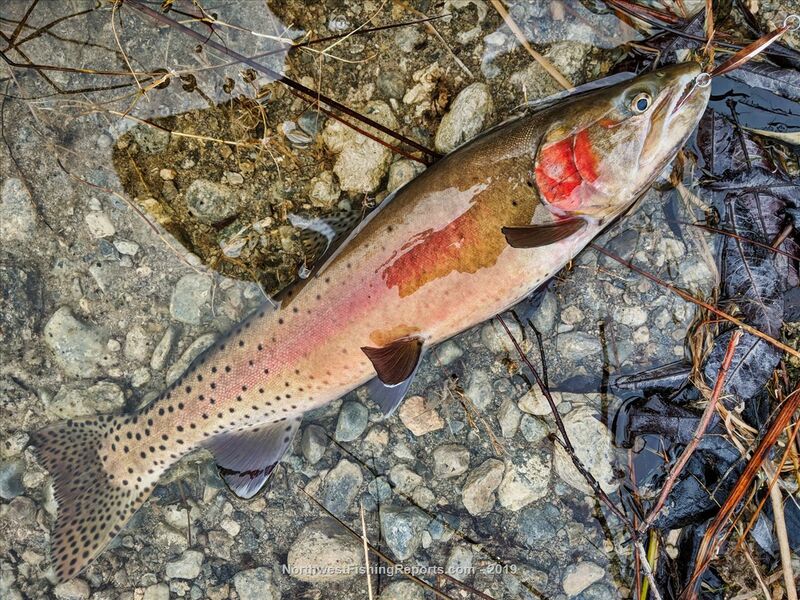 We have been having some beautiful bluebird winter days over here so I took the opportunity to spend a couple hours tossing spoons for Lahontan Cutthroat Trout. As usual I wasn't disappointed and once I dialed in the presentation I was rewarded with numerous bites and landed a dozen fish or so in less than two hours fishing. As usual the lake was my own and the scenery was spectacular. View other reports from uplandsandpiper. Were those fish hitting on the drop, looks like long pauses on the retrieve? With long periods of pause during a retrieve, use of a heavy lure, and casting from shore, could you tell if any fish strike's came after fluttering spoon touched down on bottom of lake? 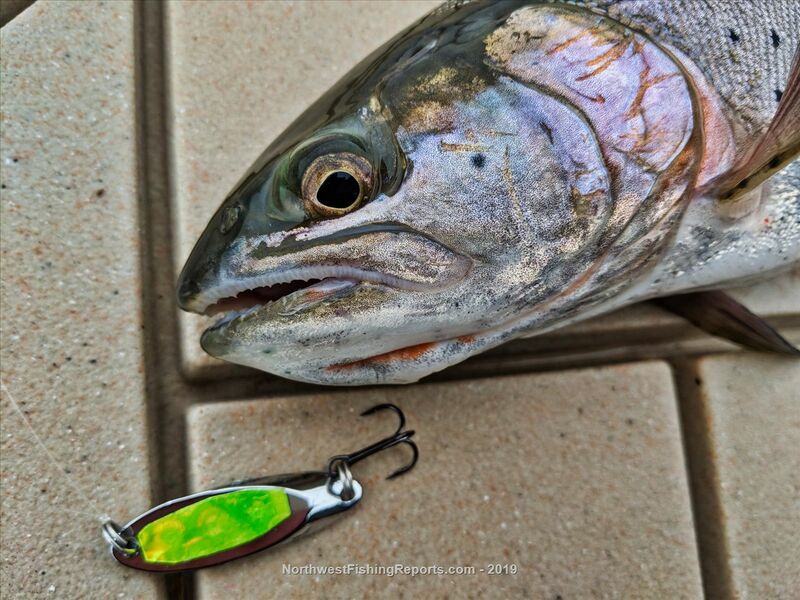 As if fish followed fluttering spoon to lake bottom, then picked up lure? Tyler, your video's are very well done as far as editing, information, HD quaility, multiple camera angles. Is there a trend to add "cook" to a fishing video? One of your recent vid's added a cooking portion, eating fish does not get any fresher than that! Well done.